The success and popularity of XML stems from its ability to be “self-describing.” For example, every piece of XML data contains information that describes exactly what it does. In turn, XML simplifies communications between non homogenous platforms and allows the vision of the virtual supply chain to become a reality. 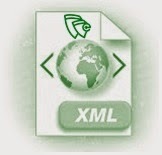 XML is not new, but started in 1996 and has been a World Wide Web Consortium (W3C) standard since February 1998. Before there was XML, there was SGML, developed in the early 80s, an ISO standard since 1986, and widely used for large documentation projects. HTML, which has evolved since 1990, is a widely popular for display data on the Web. The designers of XML simply took the best parts of SGML, and guided by HTML, produced XML. XML came about because of the need to represent and manage data on the Web. HTML, GIF, and JScript™ have become the standard for visual display and user interface on the Web. These standards allow a page to be created once and be displayed at different times by many receivers. 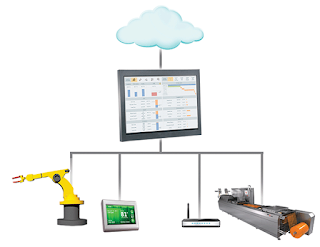 Now, the need exists to represent and manage the data between different platforms. For example, HTML does not provide a common way of representing data so software can search, move, display and manipulate data. XML and XML extensions have become the standard for Web-based data transactions such as managing e-commerce business processes that connect the enterprise with its suppliers and customers. In fact, companies have begun developing XML-based voice files to deliver information to wireless phones. Detroit-based General Motors Corporation has claimed that they will be providing OnStar XML-based wireless voice files to deliver weather forecasts, news, sports scores and stock updates to wireless phonesbuilt into 30 models of their premier cars. According to Daryl Plummer, an analyst at Gartner Group Inc. in Stamford, Conn., if a company strategy is to deliver Web content to devices, then they need to be using XML and XSL (Extensible Stylesheet Language) because 85% to 90 % of companies are committed to doing it that way. XML is used to represent highly structured hierarchical information. Often times, we have data that is generated by an application such as Excel, Word, which can be viewed in either binary format or text. In text format, we can view the information without requiring the application that produced it, but often times it is inadequate because it loses the structure of the information. XML is a set of conventions for designing text formats for such data, in a way that produces files that are easy to generate and read by a computer. It avoids common pitfalls, such as lack of extensibility, lack of support for internationalization/localization, and platform-dependency. Prolog – declares element names, attributes, and rules for valid markup of data. Document instance –data with markup has one root element with all other elements as children of the root; tree representation.